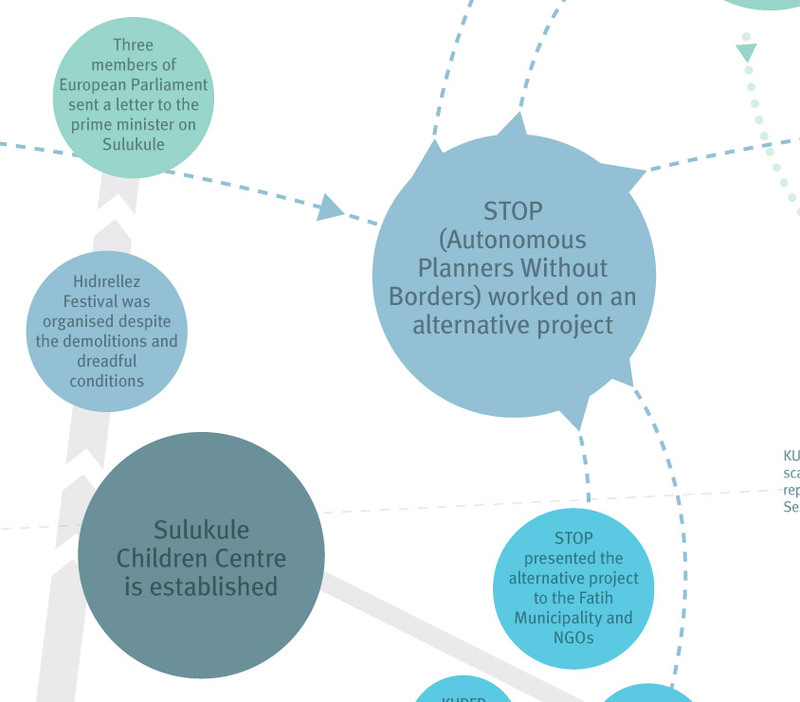 In these diagrams, the process of eviction in Sulukule – a neighborhood in Istanbul where Romanian citizen used to live – is depicted. 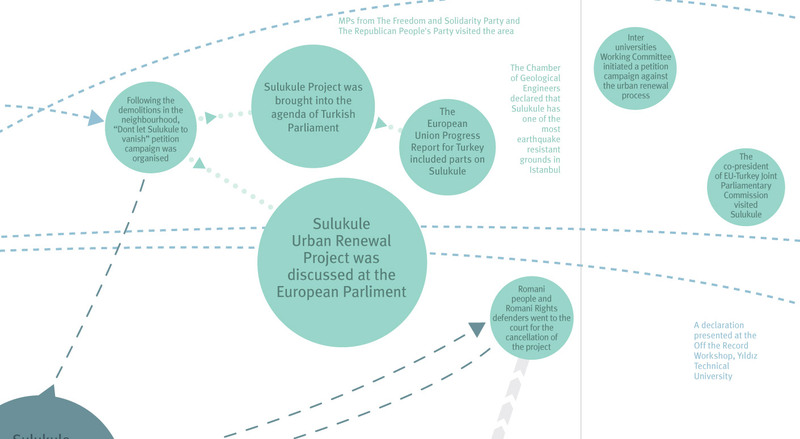 The process shows how municipality’s intention for urban renovation in Sulukule progressed while demolishing Romanian settlements without their consent. The maps were designed both in English and Turkish for Rotterdam Architectural Biennial, exhibited at Rotterdam in 2009 and Istanbul in 2010.